If you or someone you love has experienced a head injury in an accident, it is wise to speak with an attorney at McGarity and Efstration as soon as possible regarding your legal options. We help you understand your rights and what is best for your specific situation. We deal with the insurance carriers and other liable parties for you. Our priority is to effectively and efficiently assist you with moving forward after a life-changing injury. Concussion. A concussion is an injury to the head area that may cause instant loss of awareness or alertness for a few minutes up to a few hours after the traumatic event. Contusion. A contusion is a bruise to the brain itself. A contusion causes bleeding and swelling inside the brain around the area where the head was struck. Coup-contrecoup injury. Coup and contrecoup injuries are contusions resulting from a strong blow to the head, causing the brain to slam against the inside of the skull. Coup injuries are brain contusions occurring at the point of impact. Contrecoup injuries result when the brain impacts the side of the skull opposite the point of impact. Linear skull fracture. A linear skull fracture is a crack in the skull, which does not penetrate brain tissue. Depressed skull fracture. Broken skull fragments from depressed skull fractures penetrate or compress brain tissue and can cause severe brain damage. Diastatic skull fracture. Diastatic fractures occur when the areas of the skull where the bones fuse together during childhood are widened. Basilar skull fracture. A basilar skull fracture is a break at the base of the skull. In any event, regardless of how minor your head injury might seem, you should see a doctor immediately to determine if you suffered a brain injury. If someone else negligently caused your injury, contacting an experienced attorney at McGarity and Efstration to help you obtain compensation for your harm suffered is the next step to take in your best interests. Sporting activities, such as football, basketball, baseball or softball, cycling, hockey, gymnastics, rugby, etc. Being injured can cause pain, suffering and depression. 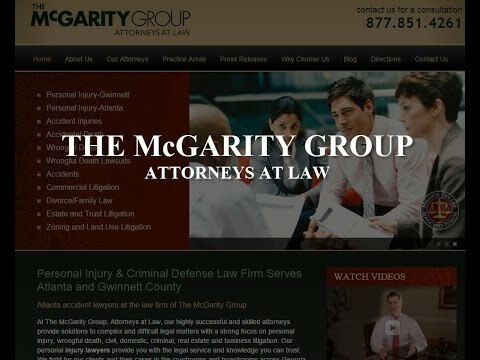 Contact McGarity and Efstration, Attorneys at Law as soon as possible to receive a free initial consultation regarding your personal injury. Call us at 877.851.4261 or contact our Buford head injury attorneys online.